Tech gifts are among the most popular gifts to give each year around the holidays. However, when it comes to finding the right gift for someone who is into technology and all the gadgets and gizmos, it can be hard to know what to get. Since we live and breathe tech gadgets all year at Selby Acoustics, you can trust us to have the best tech gift ideas. Here are 10 of the top tech gift ideas for the 2017 holidays from all of us at Selby. As a bonus, they are all under $50. This all purpose microphone withstands frequent use and rough handling. Sells for $29.99. 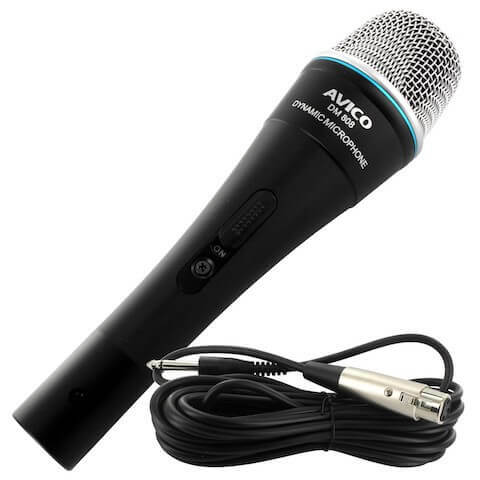 This microphone is great for vocal use, but can also be used for instrument miking. Sells for $49.99. These headphones are Swedish-designed and come in eight funky colours. It features an inline microphone, an inline remote, and it comes with the stand. Sells for $39.95. These headphones are great for gamers with lightweight ear cups, noise cancelling technology, a sensitive microphone, and high performance speakers. They have other uses too in addition to gaming including Skype, video calls, recording podcasts, dictation, or just listening to music. Sells for $19.99. These earbuds are comfortable and give you clear, vivid sound. They are compatible with most mobile phones and MP3 devices. The inline microphone is easy to use. They are available in a variety of colours including green, pink, blue, black, or white. Sells for $16.99. This pair of speaker stands is perfect for mounting small or “satellite” style speakers, which are often used as rear or side speakers in a surround sound system. These speaker stands are made of a steel tube construction, with an understated modern styling that will suit most homes. They also incorporate a simple cable management system for thin speaker cable that allows the cable to run down the inside of the vertical post, allowing for a tidy, sleek look. Sells for $49. Everyone has a friend who loves their flat screen tv, and this is the perfect gift for them. Perhaps someone you know is getting a new tv for the holidays; then this is a great accessory to wrap up and give them or put under the tree. Sells for $11.99. This is a great gift for someone on your list who travels a lot with multiple tech devices that need charging. It allows you to charge up to 5 devices at the same time. It comes with adaptors for Australia, New Zealand, USA, UK, Europe, and Hong Kong. Sells for $44.